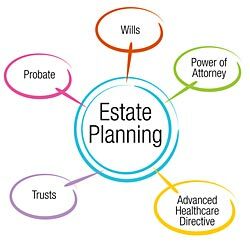 Probate court “accounting” is a financial statement of the estate or trust matter involved. 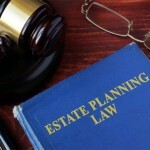 In an estate proceeding, the accounting is required to be approved by the court (along with a proposed distribution of assets) before the estate can be closed. In a trust matter that is in probate court because there is a legal dispute between beneficiaries, the accounting is usually required to be filed as a “Petition to Approve” with a separate filing fee. Unless “waived” by the beneficiaries, the estate or trust accounting presents a record (from the date of death or beginning of trust accounting period) of “assets on hand” at the beginning of accounting period, income (i.e. interest for bank accounts, rental income); losses, expenses incurred and paid, preliminary distribution to beneficiaries, if any, and assets on hand at the close of the accounting period. Once filed, the court clerk’s office assigns a hearing date which may be several months later. A formal notice of hearing date must be sent to all of the beneficiaries (and other interested parties i.e. creditors/claimants) and filed with the court. Before the hearing date, the court “probate attorney” will have reviewed the accounting and sent out “probate notes” which need to be “cleared” before the court will approve the accounting. Also, any one may file an “objection” to the accounting presented which must be addressed by way of a “reply.” Either way, a “supplement” to the accounting addressing the notes and/or objections may be filed prior to the hearing. If necessary, the hearing date may need to be “continued” to a further date. Once all the foregoing is completed and approved, the petition’s executor/administrator or trustee can move on with proposed distributions and payments of fees to themselves and their attorneys which conclude the accounting process for the time period covered.